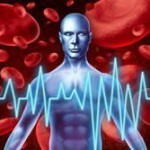 Home Stroke What Is A Resting Heart Rate? In general terms the resting heart rate of a person is a strong indicator of that person’s basic level of fitness. The strength of the heart can be measured simply by taking the resting heart rate into account. A strong heart can pump more blood each contraction, meaning that a strong heart needs to beat less times per minute than a weak one in order for the body to have adequate blood flow. Thus, those who have a high resting heart rate do not have a sufficient level of fitness. Athletes will have the lowest resting heart rate of anyone, as they have had plenty of training to strengthen the heart in order to perform. This allows the heart of an athlete to pump a larger amount of blood per beat than that of an unconditioned person. Your Resting Heart Rate is the number of times your heart beats while doing nothing. This number is determined by taking your one minute pulse rate when you wake in the morning before getting out of bed. The quantity of blood pumped from the hearts left ventricle during each contraction is labeled as the stroke volume. 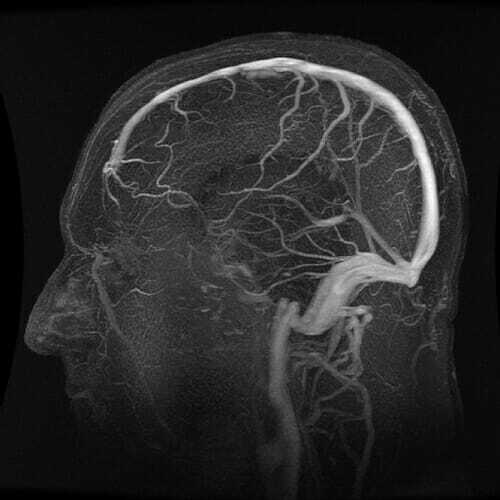 There are a large number of outside influences upon the stroke volume of the heart, such as the various medical conditions that hinder the strength of the heart. A person can work on the improving the stroke volume by strengthening the heart through endurance training and cardiovascular exercises. Strengthening the heart in this manner to increase the stroke volume will lower the resting heart rate of the individual, thus giving a concrete example of the fitness of the person. To understand overall how your heart muscle is functioning three things are looked at: Resting Heart Rate, Blood Pressure and Cholesterol numbers. A LOW RHR can mean: you have a high degree of physical fitness which lowers your chances of a heart attack. 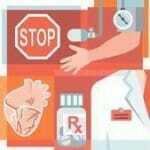 A LOW RHR accompanied with dizziness and fatigue can mean: your heart is not working properly. A HIGH RHR can mean: your are at increased cardiac risk. Your heart rate is a great predictor of mortality for patients with cardiovascular diseases. Roughly 50-90 beats per minutes is the typical resting heart range for an adult. Being skinny-thin doesn’t imply heart health. On average, underweight people (< 18.5 BMI) have similar resting heart rates to overweight (25-30 BMI) and obese (30-40 BMI) individuals. The resting heart rate of an individual is determined by taking their pulse for one minute. It is ideal to take this measure as soon as you wake in the morning, before even getting out of bed. If you have never had to take a pulse before, it is as simple as palpating an artery and counting the beats you feel against your fingers. This is most easily done at the wrist, by placing two fingers to the inside of the wrist and applying pressure. When a pulse is found, use a timer to time out a full minute while counting the beats. This is your resting heart rate, and hopefully it is a healthy one. While the ranges of the resting heart rate vary based on the qualities of the individual, the average rate for a person in good health is between 60 and 75 beats per minute. An athlete is excellent condition can have a rate as low as 40 to 50 BPM. If an individual is found to have a resting heart rate above 80 BPM, it is suggested to have a checkup with your doctor. Most people can improve their resting heart rate with by getting in better health with regular exercise – if that is what the doctor suggests. The great news is you can improve your heart health! Increase Activity – When you maintain activity levels that get your heart pumping, you’re likely to lower your resting heart rate over time. A good tool to use when exercising is your Target Heart Rate. Your target heart rate is the number of beats per minute for an optimal workout. Click here to get your Target Heart Rate. The AHA & CDC both recommend an average of 30 minutes of activity five days a week! Even small amount of exercise can make a change. Eat a balanced diet. – You need to make nutritionally sound choices with the food you consume. An overall healthy lifestyle can help improve your RHR number. Among patients with diabetes a higher resting heart rate is associated with increased risk of death and cardiovascular complications. Diabetics with high RHR also are more likely to have diabetic eye disease. This study provides evidence that the coexistence of depressive symptoms and elevated resting heart rate is associated with substantially increased risk of death compared to those without these 2 factors. This finding suggests the possibility that treatments that improve both depression and resting heart rate might improve survival. This study concluded that increased resting heart rates are associated with increased blood pressure. The result supports the hypothesis that the influence of heart rates on cardiovascular mortality may be mediated by elevated blood pressure. There is a causal association of smoking heaviness with higher level of resting heart rate. Part of the cardiovascular risk of smoking may operate through increasing resting heart rate. really helpful as i have recently undergone C.A.B.G. surgery. thanks.